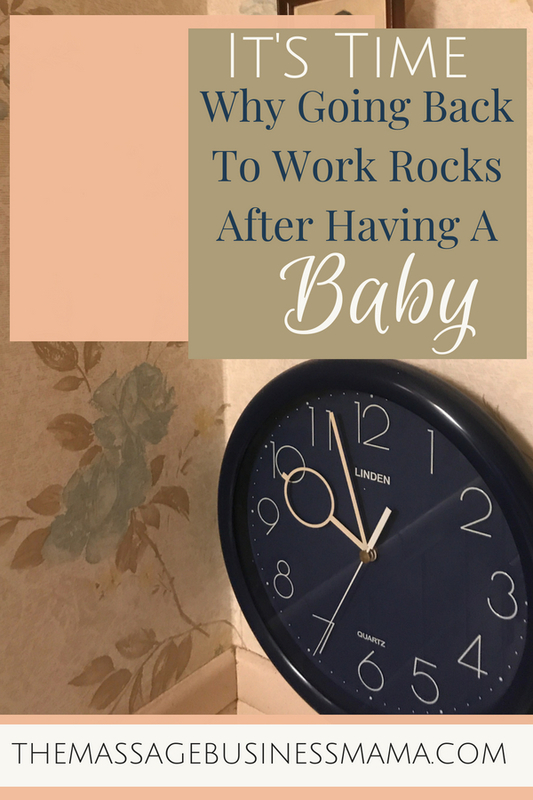 In this Post: Going back to work after having a baby can be hard, but it also can be incredibly rewards. Learn 5 reasons heading back to the office can actually rock. People have asked me, “Was it hard going back to work after you had your son?” The answer is YES! Yes I was mesmerized by his every move.Yes I thought nothing was more precious and beautiful than he. And yes I was sleep deprived, but yes it would have been harder for me to not go back to work! I love my work. It is a huge part of what defines me as a person. Like so many people I find a huge sense of self-worth through getting stuff done. And anyone who has kids knows how hard it is to get anything done. So let’s first start with how I did it. I was incredibly lucky and blessed when my mother offered to help with childcare for the first few months of my little man’s life. I knew prior to giving birth that for my business to continue to operate, I would not be able to take a traditional maternity leave. Not having a manager I was the only person who could handle payroll and scheduling, not to mention my regular massage clients who only wanted to see me, a blessing and a curse. My amazing mother, or Gammy as she is now known, lives about 4 hours from me and would come for a few days, and then leave for a few. This allowed me to see clients, touch base with my staff, and go grocery shopping. She did this for the first three months of my son’s life. I also took advantage of weekends when my husband had off. I would sneak away for an hour or two to give massage, pay bills, or catch up on emails in the quiet of my office. Being able to have this time and continue to do the work I love fed my soul and rejuvenated my depleted being. What other job can you ease yourself back into as easily as massage? Maybe you do one massage your first few days back, and then after a couple weeks you think two a day sounds good. But then perhaps you do two massages and realize it’s too much. So be it. Cut back. When I started back, I would do one massage a day. I probably did one massage a day 4 days a week for four weeks. Our clients love us, and they want to hear about how motherhood is treating us. How the birth went, how our babes are sleeping, how we are sleeping. Obviously we want to make sure the massage is still focused around their needs, that being said though many of our clients want to hear what we have to share. Part of the reason they are bonded to us as therapists is because of the pieces of ourselves we share. It is amazing how much you can get done when you don’t have a babe attached to your bosom, when there aren’t 6 dirty diapers piled up next to you, and when there is not milk vomit on your shoulder. And, it feels really good to finish something you start! It can be so refreshing to hear about our client’s grown-up dilemmas. It helps us feel like we are still connected to the outside world, even though ours revolve around Diaper Genies, Rock n Plays, and DockATots. After having a baby it can feel like you have absolutely no control of your life. Your sleep isn’t yours, you shower isn’t yours, your bed isn’t yours, your bathroom isn’t yours. But guess what, your work CAN be yours. Parent.com says, “All new moms must adjust to having less control over their day-to-day lives, but some women find this overwhelming, which leads to anxiety and depression.” One way to combat this anxiety and potential depression is to continue to have some structure that allows some semblance of control. Of course, not all moms can go back to work right away. And that’s okay too. Everyone needs to find the work/home schedule that works for them and their unique situation. I just know that for myself getting the break to be able to connect with other adults, finish a thought without being interrupted, and pee by myself helped me be a better mother when I was with my son. And having a job such as massage, the schedule possibilities are endless, what a blessing! 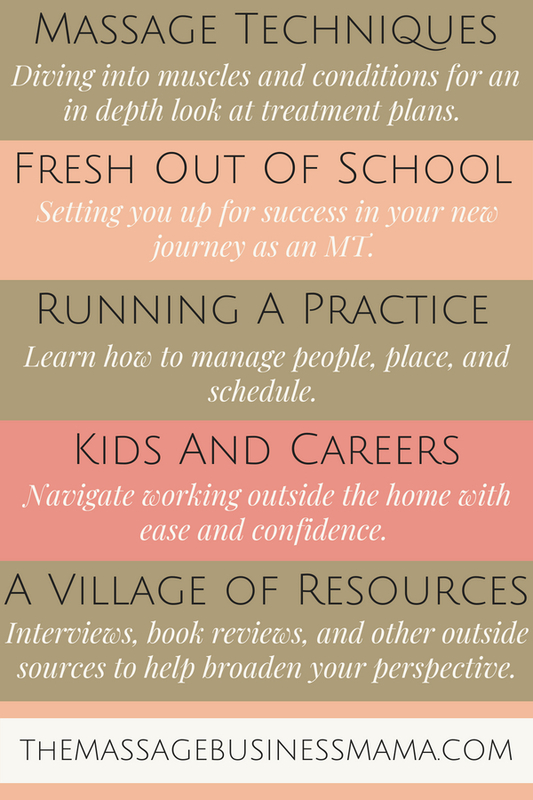 Great reasons to go back, and some of them apply to other professions too!! Such an encouraging message.